with additional nutrients, such as increased lycopene in canned tomatoes. Myth No. 2: Canned foods are full of preservatives. The perception that canned foods are processed foods often leads people to believe they’re full of unsavory ingredients. The term processing is used to describe any food that has been changed from its natural form. So removing corn from a cob counts as processing, as is baking or boiling potatoes. 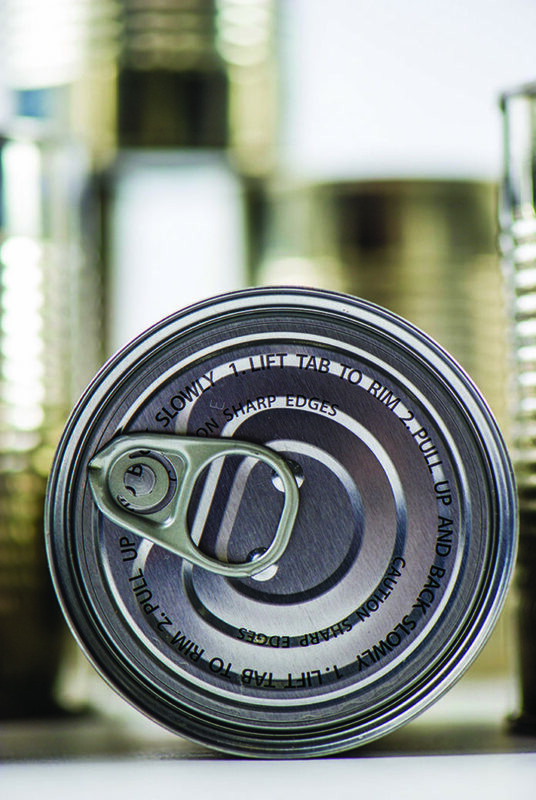 Canned foods are preserved by heating the items and sealing them under pressure. No other preservatives are needed to keep them fresh. Myth No. 3: Can linings are dangerous. There has been controversy concerning BPA-containing plastics for many years. Even though the Food and Drug Administration, as well as other international food safety agencies, has evaluated the extensive body of science and continue to affirm BPA’s safety in food packaging, some manufacturers are voluntarily moving away from it. Consumers can find many foods packed in cans with non-BPA linings. However, even foods packaged in BPA are considered safe for consumption. Myth No 4: Canned foods are full of sodium. Some canned foods will contain salt as an added ingredient to improve taste and act as a freshness preservative. But canned foods do not rank among the biggest offenders in regard to excessive amounts of sodium. In 2012, the Centers for Disease Control and Prevention released a study that identified the top 10 food categories that contribute to high sodium diets. Pizza, cured meats, cold cuts, and rolls made the list, while canned foods did not. Myth No. 5: Canned foods do not taste good. Because foods are canned when they are at peak freshness and ripeness after harvest, they retain full flavor if properly stored. Myth No. 6: All dented cans are unsafe. Cans can become dented in transit. Drop a can and it will dent. But that doesn’t necessarily mean foods inside dented cans are unsafe to eat. If a can is bulging or if the top or bottom of the can moves or makes a popping sound, the seal has probably been broken or compromised by bacteria and should be thrown out. Canned foods are safe and can make for valuable additions to any pantry.